Happened to notice this shot while searching for Ranga Temple pictures. 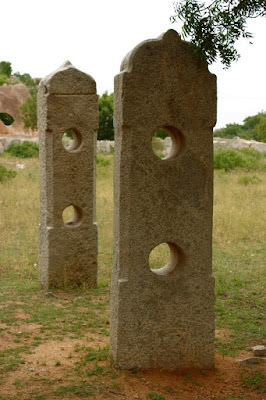 The two objects seen here are a pair of identical (almost) pillars near Zenana Enclosure. Going by the size of the pillars, I believe they were used to tether elephants. Whatever the purpose was, the pillars are beautifully finished. Each pillar has two holes of equal sizes. The holes are well honed, felt the smoothness with my finger tip. Notice the chamfered vertical edges.. to prevent damage to ropes. Here are the pillars. The holes are large enough to allow a thick rope or metal chain to pass through. So they should be for tethering the power beasts. Do check out these pillars, you can find them between the archaeological museum and Zenena Enclosure ticket counter. Your observation of the details makes this artefact worthy of attention, than being passed as a curious one without answers. Have seen such posts with holes any other places too? Thank you, Nikhil. 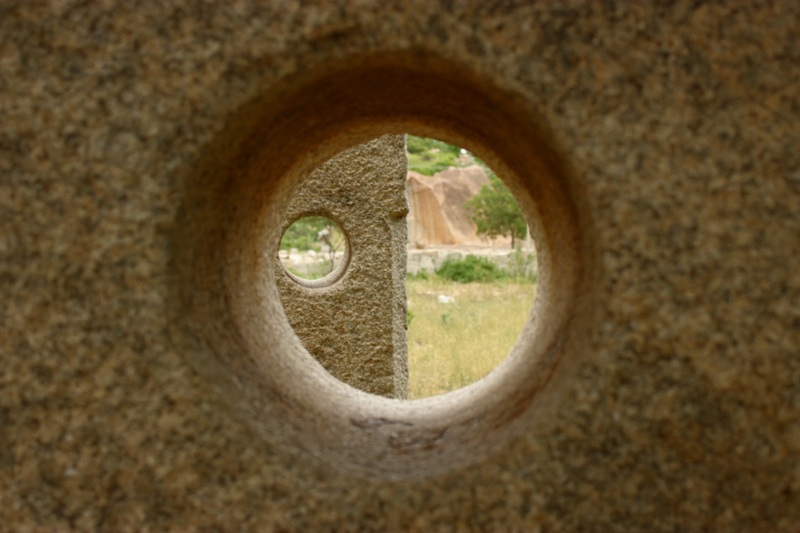 Can't remember seeing anything similar anywhere else, but there's one more pair at Hampi close to Maha Navami Dibba. That article is due to go live tonight..